A 20-year-old woman filed a paternity lawsuit in San Diego County against Justin Bieber on Halloween, according to court documents. Bieber denies the claims. NBC San Diego was unable to obtain the sealed court documents, but Radar Online posted a copy of the documents obtained by Star Magazine online. Mariah Yeater, 20, claims Bieber fathered her baby during an encounter at the Staples Center in Los Angeles on October 5, 2010, according to the documents. She wants Bieber to take a paternity test and provide child support. 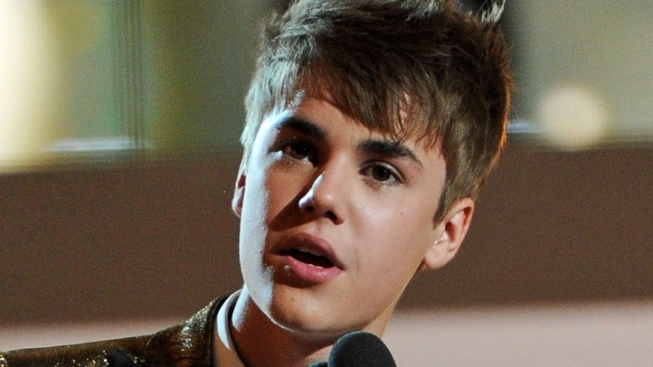 Bieber was 17 years old at the time of the alleged encounter. The birth certificate for the baby allegedly fathered by Bieber reveals the boy was born at Grossmont Hospital in La Mesa. Yeater claims one of Bieber's security guards "asked if I wanted to meet Justin Bieber" backstage, she wrote in an affidavit. "After waiting for a short period of time with several young women, Justin Bieber appeared and engaged me in conversation." Yeater claims the pop star suggested they go to a private place to be alone. “After walking away from the other people backstage, Justin found a place where we could be alone — a bathroom,” according to the court documents. "He told me he wanted to make love to me and this was going to be his first time.